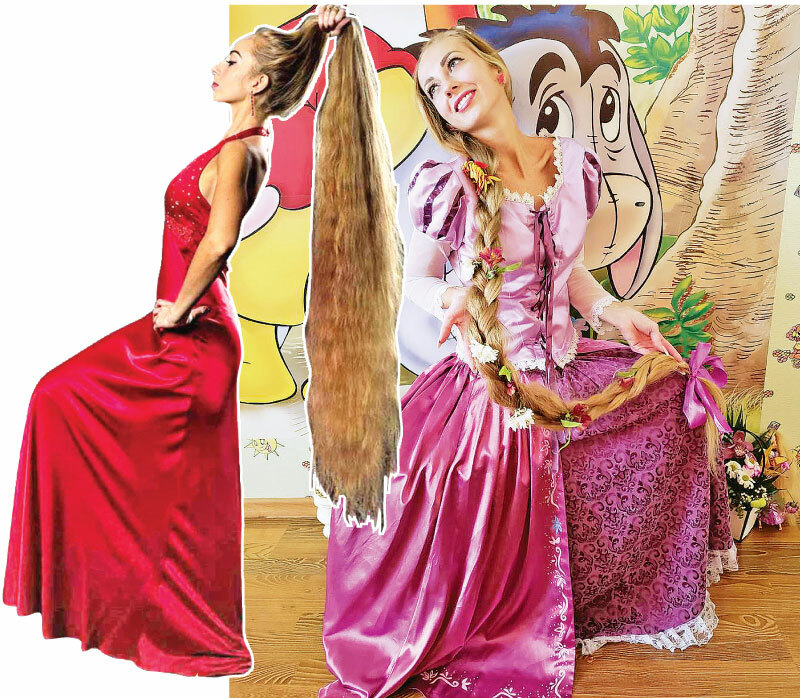 This real-life Rapunzel hasn't had a haircut for 28 years - and now boasts an impressive mane 6ft 5in mane. 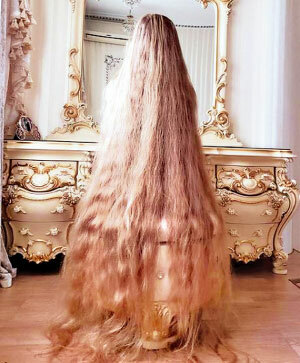 Alena Kravchenko, 33, last had her lustrous honey-coloured locks trimmed when she was five years old. Her bouncy barnet already reached halfway down her back when she was a teenager and by the time she was 20, it tumbled down her waist before eventually beginning to touch the floor aged 30. Alena says, "Whenever people see my hair they are stunned. I feel honoured when people call me Rapunzel." She said, "My mother was a great believer that beautiful long hair was important for a woman and would tell her she shouldn't trim her hair. Since childhood, my mother would tell me that feminine beauty stems directly from a woman's hair. She would tell me that a woman looks very beautiful with long hair and I shouldn't trim my hair. I listened to her and soon I realised she was right as I understood the beauty of long hair. I fell in love with my hair and didn't let anyone ever trim it since my last haircut, which was 28 years ago." Alena doesn't use a hairdryer or straightening iron and uses only natural oils and masks to maintain her hair. She washes her locks only once a week and does not experiment with different hairstyles. Alena said, "Initially, I experimented with my hair a lot. I used to keep different hairstyles but now I try to take proper care of my hair. I use natural products to maintain my hair and don’t use a hair dryer or straightening iron. My hair is easy to comb and do not cause me any inconvenience but I can't wash it daily. I wash my hair only once in a week as it takes such a long time to wash and dry." Alena said that her husband of 10 years, Alexander, was shocked the first time he saw her long locks. And though her mane remains an attraction for people, she at times trips on her hair - meaning she has to keep it up in a bun or braid. But despite the hazards, Alena said that her hair is her identity and she has no intention of going for a haircut. "I usually wear it in a bun or braid. I rarely put it into a ponytail and I let it down loose only on important occasions. I will never cut my hair, because this is not only the external manifestation - this is my soul, my inner world, which will always be with me," she said.